Thread: "It's me Bren Gun!" My cousin in the UK sent me this photo! The subject line of his email was "It's me Bren Gun!" Apparently it's a quote from some Brit film. What an awesome photo and experience for him though. Just a shame that the firearms laws in the UK will have rendered that beautiful weapon to nothing more than a piece of used military memorabilia. (Obviously it will have been decommissioned). Does anybody here have any experience of firing the Bren Gun? And if so, would you care to share the experience with us? I guess the US equivalent of that era was the BAR. Can anybody comment on how they compared? My cousin works as a contractor on a military base in the UK and is always sending me photos. If I get anymore WW2 relevant ones from him I'll post them up too. 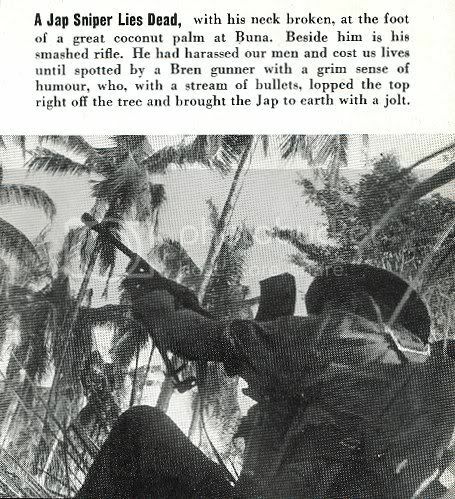 Re: "It's me Bren Gun!" Here is another one he sent to me posing with the Big Man himself! Just missing the Tommy Gun! I found this comparison video of the Bren vs the BAR. Thought it might be of interest. I have fired the 'Bren' in 0.303" as well as the later modified L4A4 LMG (a Bren rechambered for 7.62mm NATO). It was a very good weapon for its role - if a little too accurate. I last fired my LMG while serving in the Sappers in 1991, I got my L86 LSW then. It was a very good weapon for its role - if a little too accurate. IIRC, the original early WWII version was too accurate, in the sense that if held on target it was capable of putting round after round into a tight group, but this was corrected by some modification part way through the war which expanded the beaten zone. I never fired a Bren, but I found the L2A2 perhaps a little comparable to the Bren as more of an automatic rifle rather than a true machine gun in that it was easier to keep a tighter group on a static target than an M60. The L2A2 fired a tighter group on a bipod and didn't want to climb as much as an M60 from a kneeling or standing position. Against that, the L2A2 and Bren were both magazine fed and most likely to be used for short 3 to 5 round aimed bursts rather than longer bursts of suppressing fire from a belt fed M60 where, if all went well for the L2A2 / Bren versus the M60, the continuity of fire was limited by the 30 round magazines for the L2A2 (?same for Bren) against barrel change for hundreds more rounds for M60. Also, unless one has an unlimited supply of time and links and manages to assemble belts properly, one can't make up an M60 belt from loose rounds in the section or platoon, while the L2A2 and Bren both used hand loaded magazines with loose rounds and could be kept in operation in an emergency with loose rounds from other troops. 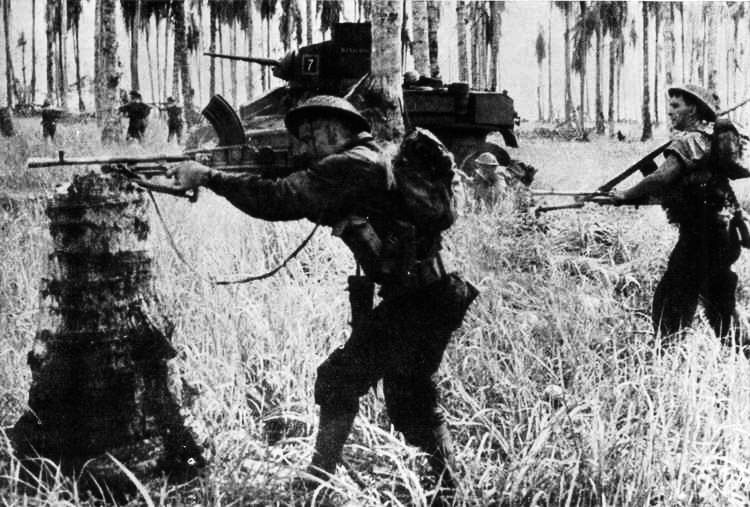 Comparing the L2A2/ Bren with a true machine gun is a bit of case of comparing apples with oranges. I was in a minority who preferred the L2A2 purely as a firearm for its accuracy and ease of operation (no extra kit such as an asbestos glove for a barrel change, for a start, and no extra barrel to lug around, either), but if I had to choose between the L2A2 / Bren and an M60 for static defence or infantry operations, the M60 wins hands down for its greater firepower. 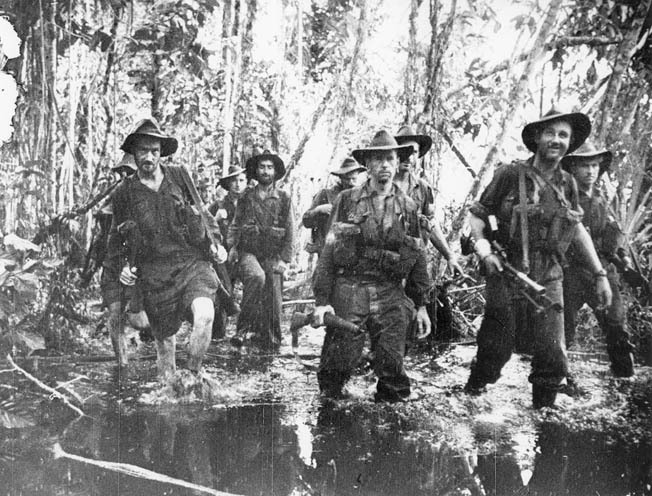 Brens in action or operations by Australians in Papua New Guinea in WWII. One of the mods carried out to lessen the accuracy of the 'Bren' was to shorten the barrel and reduce the weight (Mk 3) - although that version was not used post war. The magazine (Bren and LMG) could carry 30 rounds but we only put 28 in to prevent jams, the LMG could also take the 20 round mags from the SLR's and a few people did use the 30 round LMG mags on their SLR's but it was not recommended (top feed mag being used to feed from the bottom - people used to stretch the springs to make it more reliable for feeding on the SLR). 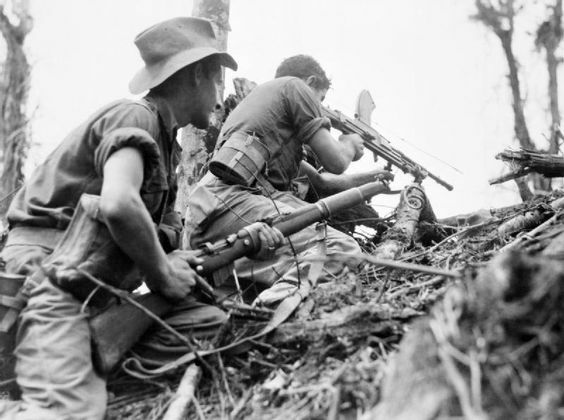 In British service we adopted the GPMG (FN MAG) as the main section weapon to replace the Bren, a much better and more reliable weapon than the M60 (which the US grudgingly admitted after many years and adopted it themselves as the M240). While the rest of us made do with the LMG until it was replaced by the LSW. For static defence I would take the GPMG - much less chance of stoppages . a few people did use the 30 round LMG mags on their SLR's but it was not recommended (top feed mag being used to feed from the bottom - people used to stretch the springs to make it more reliable for feeding on the SLR). Longer mag also alters and raises your prone firing position, which could be a source of considerable unhappiness if the top of your skull cops an enemy round or shrapnel which would have missed it with the standard 20 round mag. Similar problem with the warriors who tape two magazines together for a quick change, which ain't gonna work too well if you've hit the ground and filled the top of the inverted mag with dirt. A lot more time will be lost cleaning the breech, mag and removing the dirty rounds or reloading than just taking a clean mag from a pouch. Plus, once you've put the dirty mag in and fouled the breech, you're still going to take longer to resume firing even if you have a clean mag in a pouch. This is the reason that the BAR used 20 round mags, the length works best with its Bi-Pod, and reduced the height above ground. It would have been otherwise a simple matter to produce 30, or 40 round magazines, or even drums. Being close to the Earth is not only for Farmers. This is the reason that the BAR used 20 round mags, the length works best with its Bi-Pod, and reduced the height above ground. Yeah, once you have a longer mag, and apart from it raising your head just holding the mag on the ground, if you need to depress the muzzle then you have to raise your head higher. If you have the desirable advantage of the high ground, you actually lose a lot of that advantage by having to expose more of yourself to depress your muzzle. I suppose the longer mag could serve as a pivot which lowers your head for firing uphill, but it's not the ideal item to accept recoil and hold the weapon on target. We called that interlocking fire, though it was used by M-60 Pig gunners firing 25-35 round bursts in turn so the guns could stay cooler, and cover one while changing barrels. Ammo Belts were easily linked together, (sort of) so stopping to freshen the ammo up was not often needed. The BAR had two rates of fire which made life easier depending on Target, and ammo supply. Today the BAR is available again to class I buyers in semi auto only, made by Ohio ordnance, and costing about $4,500. In the Bonnie&Clyde days, the Monitor by Colt was the common Man's choice. Some were used against Bonnie&Clyde IIRC. This was how we were supposed to use the L86 LSW in rifle sections. Each section got two (one per fire team) to replace the single GPMG - soon went back to the GPMG as a section weapon then the minimi.